This super easy Roast Chicken recipe by British Chef Jamie Oliver is great for the Easter holiday when you want to be visiting with family and friends. Enjoy with Blue Mountain 2011 Chardonnay. 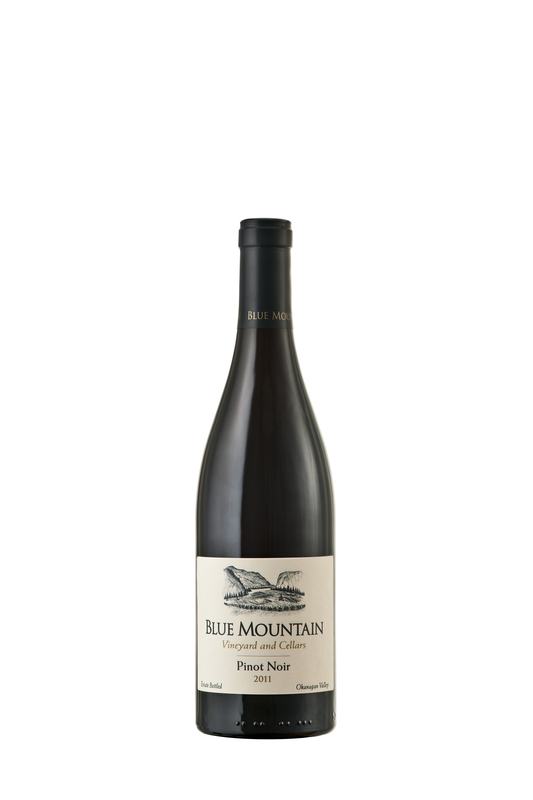 For larger groups at Easter, enjoy this Apricot Glazed Ham with Blue Mountain 2011 Pinot Gris. The majority of the post harvest work has been completed. Fermentation has taken place in either barrel or tank and now the wines are aging, waiting to be bottled and later consumed. 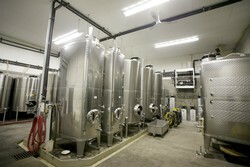 Many of the wines particularly the reds go through malolactic fermentation during this time. 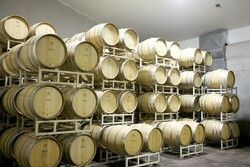 The barrels containing the wine that is fermenting need to be monitored on an ongoing basis to make sure the malolactic fermentation is taking place. Another task of the cellar staff is barrel topping and stirring. Throughout the winter over time evaporation will take place in the barrels. These barrels need to be topped up every week or two with the same wine to keep oxidation from occurring. Sometimes this can be as much as 6 litres per 228 litre barrel over a 1 to 1 1/2 month time frame. At the end of fermentation, on a weekly or bi weekly basis the white wines are stirred which is called batonnage. This stirring of the wine makes yeast particles in the wine called lees fall through the wine preventing oxidation. Another benefit of stirring the lees in a wine is the creation of a creaminess in the mouth feel of the wine. Photo below of our assistant winemaker Felix Korb. In addition to barrel topping and stirring, SO2 or potassium metabisulfite is added in appropriate amounts in late fall or early winter. This starts when the whites finish fermentation and happens later with the reds as they have to go through malolactic fermentation prior to the addition of SO2. SO2 is added to the wine for antioxidant and antimicrobial purposes. The office staff stays very busy planning for the next season as well as looking after holiday orders and any releases that occur during the “quiet “ time. This year during the off season we launched our wine club called the Friends of Blue Mountain Priority Group, allowing customers to pre order the wines they would like to receive on an annual basis. So far it has been very successful and people seem to appreciate not having to wait for a release notice. For more information on the Friends of Blue Mountain Priority Group visit our website. Other activities that keep us busy include event planning, finalizing some new packaging, planning sales and marketing for the next season. Every now and then you get an odd request like monogramming a wine barrel for a restaurant or a visit from a viticulture class to tour your facility that keeps everything interesting. This week we released the 2011 Pinot Noir. Watch for a recipe pairing coming soon and a future post about Pinot Noir clones growing in the vineyard!